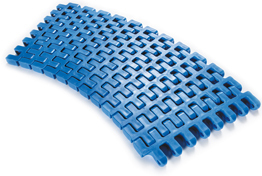 The range of side flexing modular belts is particularly suited to combined configurations of straight, curved or spiral sections. Conveyors using side flexing modular belts can be tailored precisely to your production site’s architecture and allow the optimization of floor space. 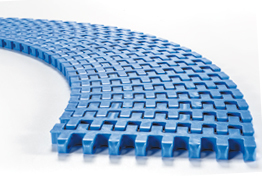 Side flexing modular belts of the EC series have an open structure allowing easy cleaning of the belt. 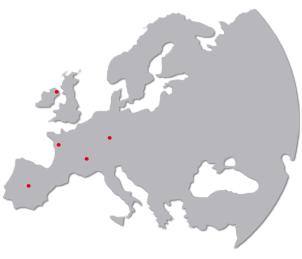 They are particularly suited to food-processing applications, where the highest levels of hygiene are vital.